Can’t we all just be friends? Well…. no! | Sprechen Sie Deutsch? It was one of the first nights out during my first trip to Ireland all those years ago and I was stunned. Here was this guy I had only met half an hour before over a pint at the bar, who I didn’t know from Adam and who I would likely never see again in my life and the moment he met his buddies he introduced me not just as a “friend” but as a “good friend”. What had happened? 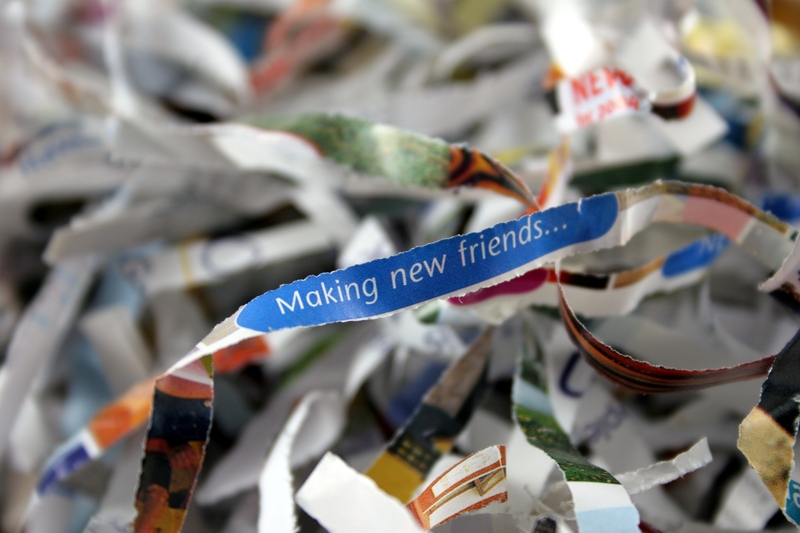 Had I unknowingly unearthed the secret on how to make friends and influence people? The truth was, of course, much more mundane. I would soon get to learn that whenever you’re introducing someone here you will invariably introduce them as “friends”…. unless of course they’re family or the big important boss from overseas. Apart from that: Neighbours, colleagues, acquaintances, sports buddies etc etc. They’re all “friends”. Yet, would you really call on any of those folks for help or serious advice if you needed it. Y’know the way you do with friends? Of course not, but that’s the way language is used in this neck of the woods. It’s a convention and break that convention and you’re at risk of alienating a large number of folks. Das ist Frau Schmidt, meine Nachbarin. Kennst du Peter, meinen Arbeitskollegen? Johanna, darf ich dich der Marianne vorstellen, einer guten Bekannten von mir. Introductions done this way also make it easier to really put someone and their relationship into proper context. Below a list of common vocabulary that can be used to introduce someone. The list can easily be extended for whatever special relationship you may have and features both the male and female forms of the nouns. Rest assured, if you want to introduce someone who plays chess with you regularly, has an allotment next to you or meets up for Dungeons & Dragons all-nighters, we’ll certainly have names for those too. Oh, and if as a male you introduce a female friend you may want to say eine gute Freundin. The term meine Freundin is generally reserved for a romantic link. This entry was posted in Vocabulary and tagged friends, Greetings, Introductions, Vocabulary by holgerhaase. Bookmark the permalink.